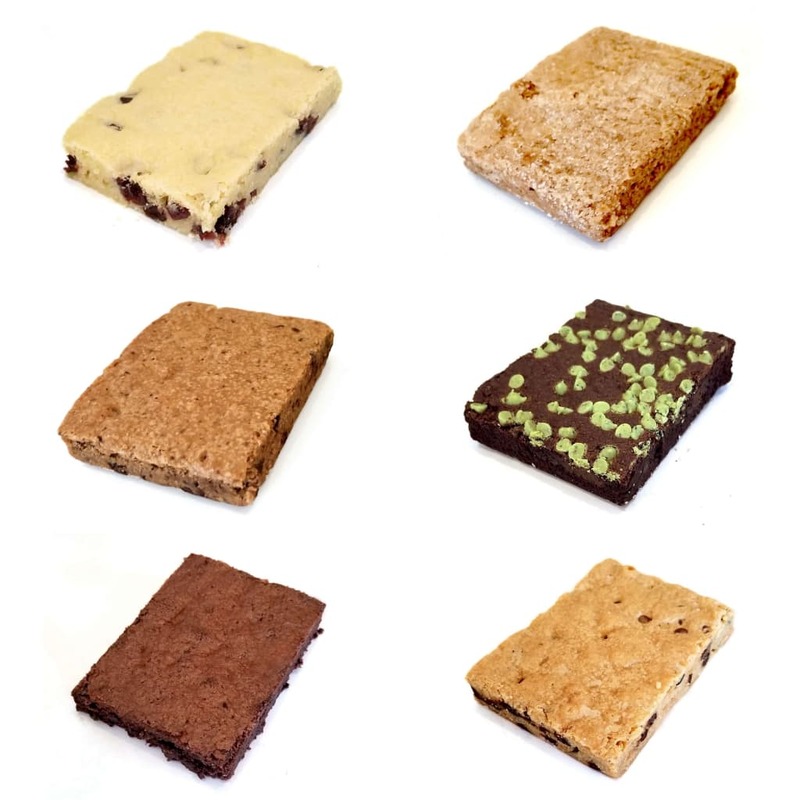 We mix all natural, high quality ingredients with our special non-gluten flour blend to create six varieties of Gluten Free brownies and cookie bars that truly satisfy! 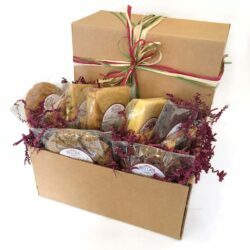 Choose your favorite assortment of four (4), eight (8), or sixteen (16) individually wrapped, moist and flavorful varieties. 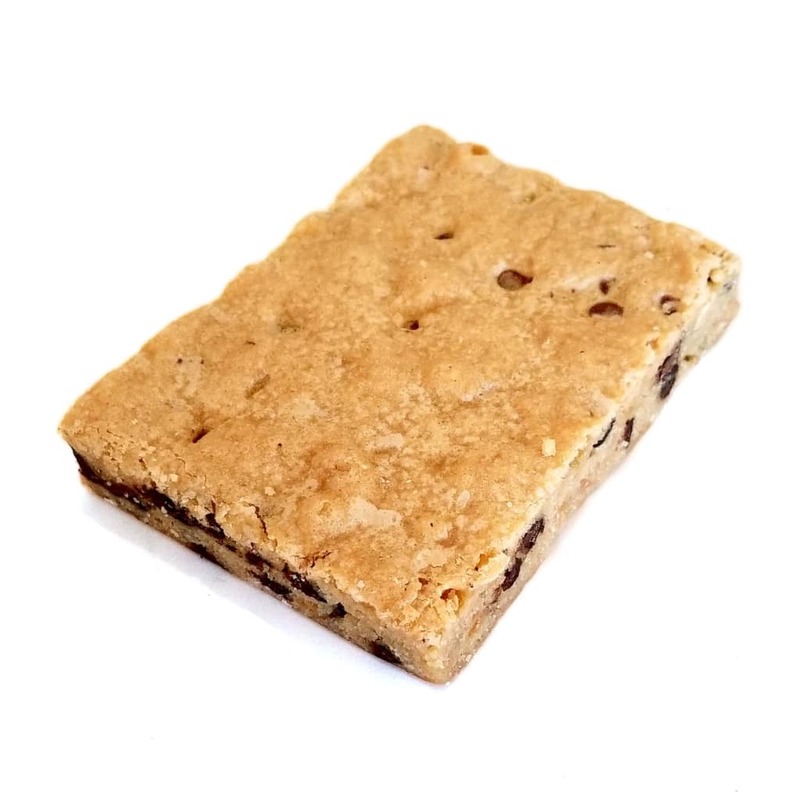 Ingredients: Brown Sugar, Gluten Free Flour (Brown Rice Flour, Potato Flour, Tapicoa Starch, Xanthan Gum) Eggs, Semi-Sweet Chocolate Chips (Sugar, Chocolate Liquor, Cocoa Butter, Soy Lecithin, Vanilla), Salted Butter(Cream, Salt), Vanilla Oil, Baking Powder, Salt. Nutrition Facts: Serving Size: 1 oz, Calories 114, Fat Calories 47, Total Fat 5g, Sat. Fat 3g, Trans Fat 0g, Cholest., 28mg, Sodium 65mg, Total Carb 16g , Dietary Fiber 0g, Sugar 10g, Protein 1g. Ingredients: Sugar, Gluten Free Flour(Brown Rice Flour, Potato Flour, Tapicoa Starch, Xanthan Gum) Eggs, Semi-Sweet Chocolate Chips (Sugar, Chocolate Liquor, Cocoa Butter, Soy Lecithin, Vanilla), Salted Butter(Cream, Salt), Cocoa Powder(Processed with alkaki), Vanilla Oil, Baking Powder, Salt. Nutrition Facts: Serving Size: 1 oz, Calories 111, Fat Calories 50, Total Fat 6g, Sat. 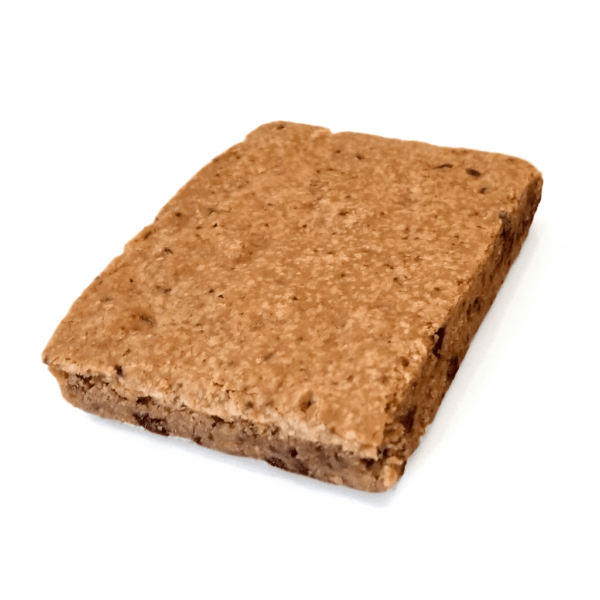 Fat 3g, Trans Fat 0g, Cholest., 30mg, Sodium 72mg, Total Carb 14g , Dietary Fiber 1g, Sugar 9g, Protein 1g. 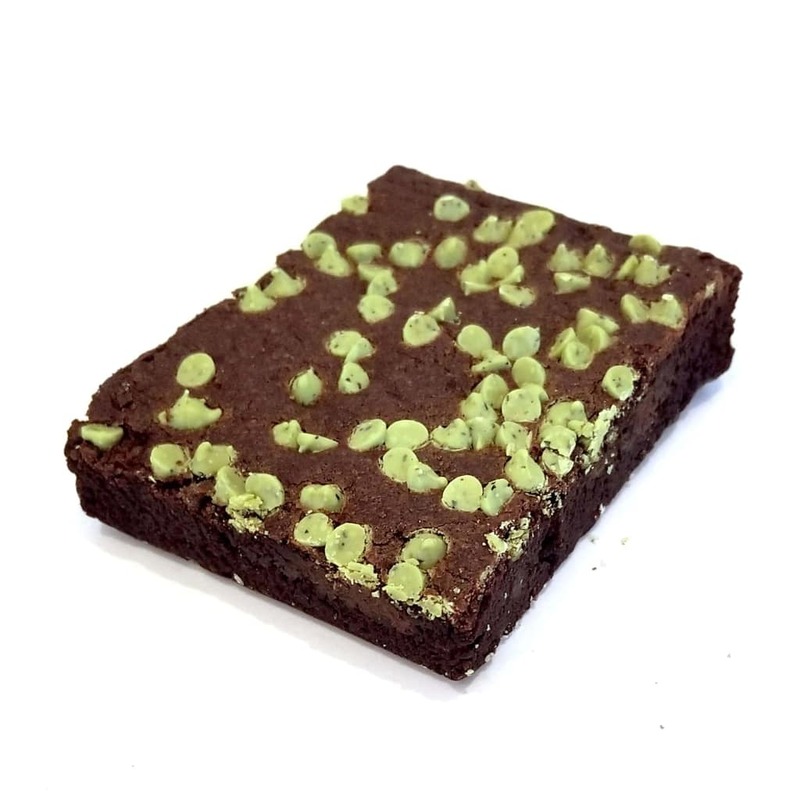 Ingredients: Sugar, Salted Butter (Cream, Salt), Unbleached, Unbromated Wheat Flour (Wheat Flour, Niacin, Iron, Thiamin Mononitrate, Riboflavin, Folic Acid, Malted Barley Flour, Mint Chocolate Chips (Semi-Sweet Chocolate, Sugar, Chocolate, Cocoa Butter, Milk Fat, Soy lecithin, Milk, Natural Flavors, Oil of Peppermint), Cocoa Powder(processed with alkali), Eggs, Sugar, Green Mint Chips (Partially Hydrogenated Palm Kernel Oil, Reduced Mineral Whey Powder, Nonfat Dry Milk Solids, Gum Arabic, Anhydrous Dextrose, Soy, Artificial Color (yellow lake 5, blue lake 1, red 40, blue 1, yellow 6, yellow 5), Salt, Natural and Artificial Flavor), Sweet Peppermint Oil, Baking Powder, Salt. 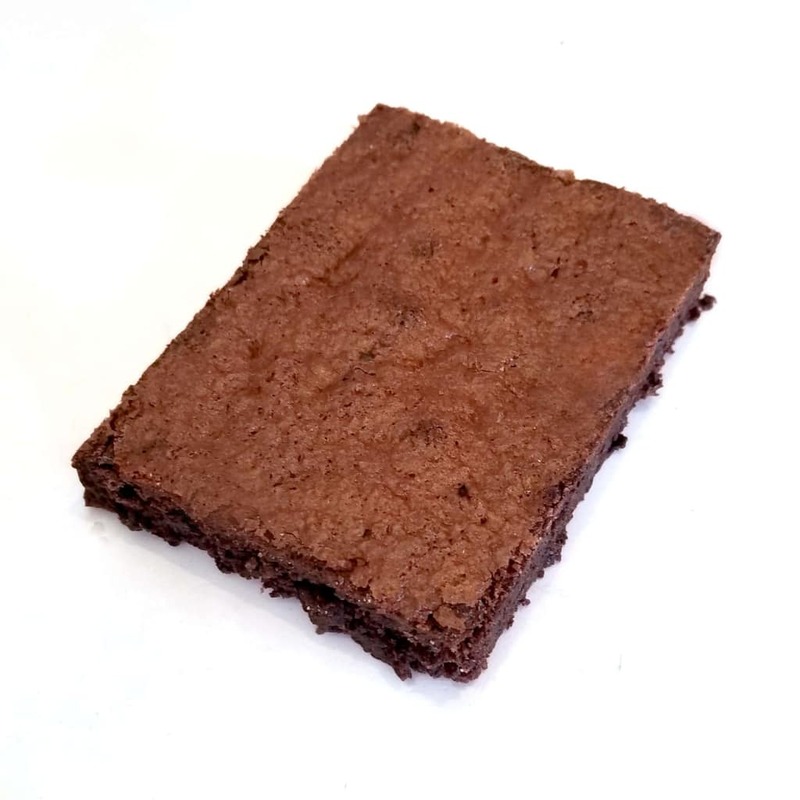 Ingredients: Brown Sugar, Gluten Free Flour(Brown Rice Flour, Potato Flour, Tapicoa Starch, Xanthan Gum) Eggs, Semi-Sweet Chocolate Chips (Sugar, Chocolate Liquor, Cocoa Butter, Soy Lecithin, Vanilla), Salted Butter(Cream, Salt), Coffee, Baking Powder, Salt. Nutrition Facts: Serving Size: 1 oz, Calories 110, Fat Calories 49, Total Fat 5g, Sat. Fat 3g, Trans Fat 0g, Cholest., 26mg, Sodium 106mg, Total Carb 16g, Dietary Fiber 0g, Sugar 9g, Protein 1g. 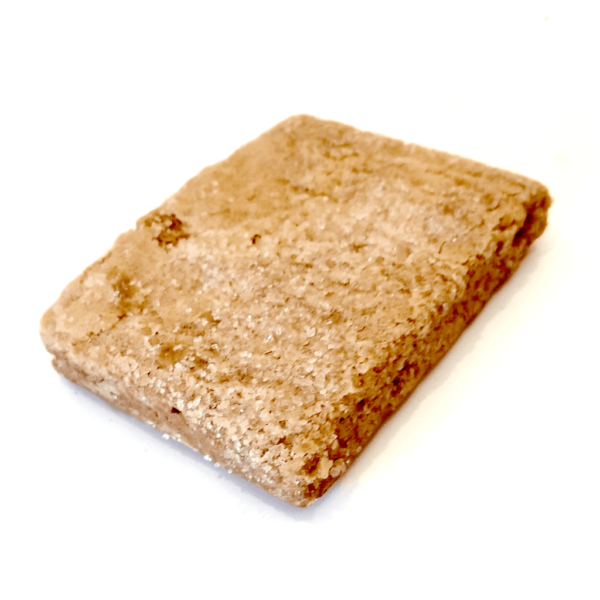 Ingredients: Brown Sugar, Gluten Free Flour(Brown Rice Flour, Potato Flour, Tapicoa Starch, Xanthan Gum) Eggs, Salted Butter(Cream, Salt), Cinnamon, Vanilla Oil, Baking Powder, Salt. Nutrition Facts: Serving Size: 1 oz, Calories 110, Fat Calories 41, Total Fat 5g, Sat. Fat 3g, Trans Fat 0g, Cholest. 29mg, Sodium 68mg, Total Carb 16.5g, Dietary Fiber .5g, Sugar 10g, Protein 1g. 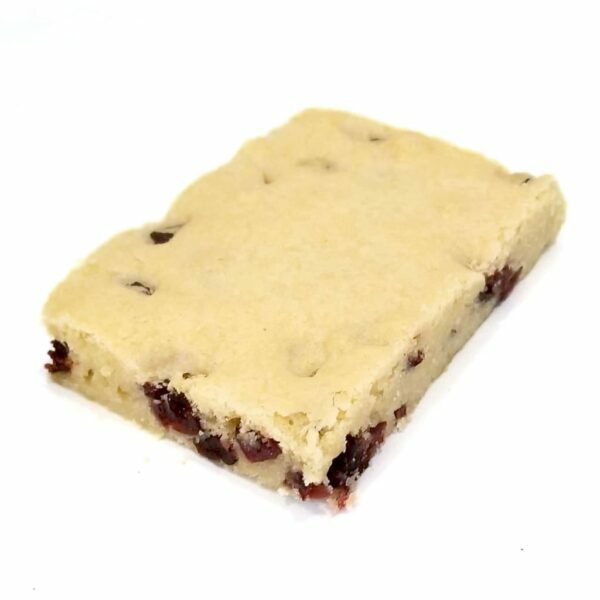 Ingredients: Sugar, Gluten Free Flour(Brown Rice Flour, Potato Flour, Tapicoa Starch, Xanthan Gum) Eggs, Dried Cranberries (Cranberries, Sugar, Sunflower Oil), Salted Butter(Cream, Salt), Orange Oil, Baking Powder, Salt. Nutrition Facts: Serving Size: 1 oz, Calories 109, Fat Calories 40, Total Fat 5g, Sat. Fat 3g, Trans Fat 0g, Cholest., 28mg, Sodium 64mg, Total Carb 17g, Dietary Fiber 1g, Sugar 11g, Protein 1g. 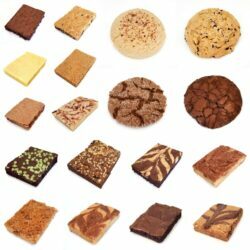 Ingredients: Brown Sugar, Gluten Free Flour (Brown Rice Flour, Potato Flour, Tapicoa Starch, Xanthan Gum) Semi-Sweet Chocolate Chips(Sugar, Chocolate Liquor, Cocoa Butter, Soy Lecithin, Vanilla), Salted Butter (Cream, Salt), Eggs, Vanilla Oil, Baking Powder, Baking Soda, Salt. Nutrition Facts: Serving Size: 1 oz, Calories 125, Fat Calories 54, Total Fat 6g, Sat. Fat 3g, Trans Fat 0g, Cholest., 29mg, Sodium 95mg, Total Carb 12g , Dietary Fiber 0g, Sugar 6g, Protein 1g.